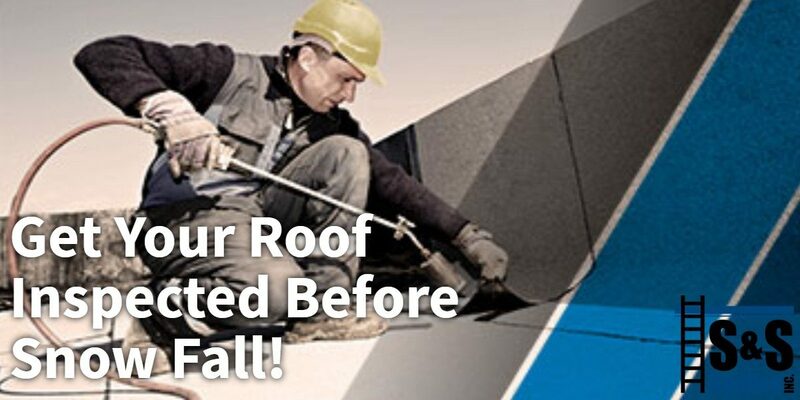 Get Your Roof Inspected Before Snow Fall! Now that fall is in full swing, it’s time to start thinking about roof maintenance. On the East Coast, the cooler weather often brings with it rain, snow, and an abundance of fallen leaves that all spell trouble for your business’s roof. Rather than accepting that leaks are a fact of life, let the commercial roof repair experts at S & S Roofing help! Our fall inspections will help you prepare your roof for the rough winter ahead. When you schedule a roof inspection, we’ll come to your business at a time that’s convenient for you. 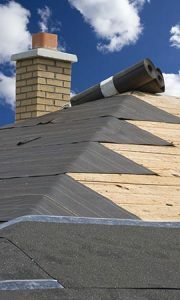 Our experienced roofing contractors will inspect your roof for signs of damage and identify any problem areas. We’ll look for any obvious hazards like pooling water, clogged drains, and missing roofing material. These easy-to-spot, and often overlooked, signs mean water can make its way through the roofing material and into your building. Over time, this increases the risk of leaks, structural damage, and damage to your equipment. For large roofs, particularly those with pooling water, we recommend scheduling an infrared roof scan, which allows us to assess the amount of moisture collecting in your roofing materials. Once we have an idea of the extent of the damage, we’ll develop a solution, taking into consideration your budget and your schedule. If our inspection reveals underlying damage, we’ll work with you to find a convenient time to make the repairs. S & S Roofing’s dedicated crew is available after hours, so our repairs will never interfere with your regular business operations. For more information or to schedule your consultation, contact the commercial roof repair experts at S & S Roofing. We’re proud to call New Jersey home, but we’ll fix any commercial roof along the East Coast. Schedule an InspectionCall us now!